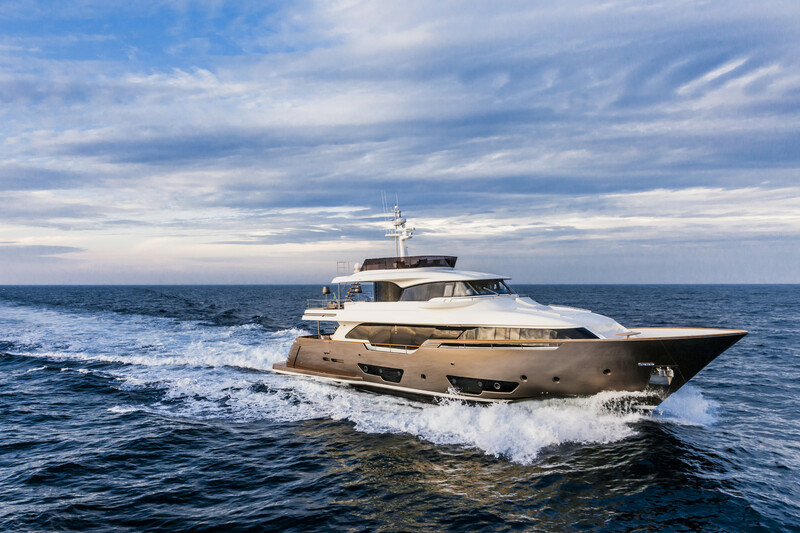 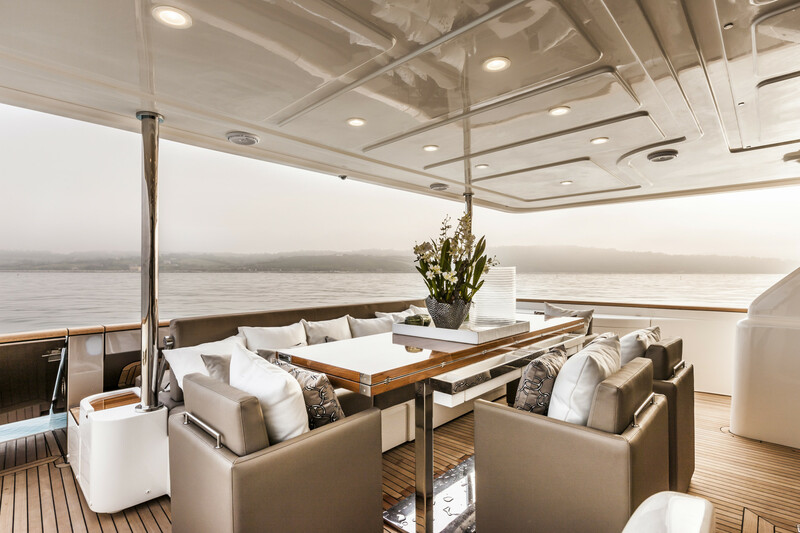 Yvonne is a spacious and fuel-efficient yacht. 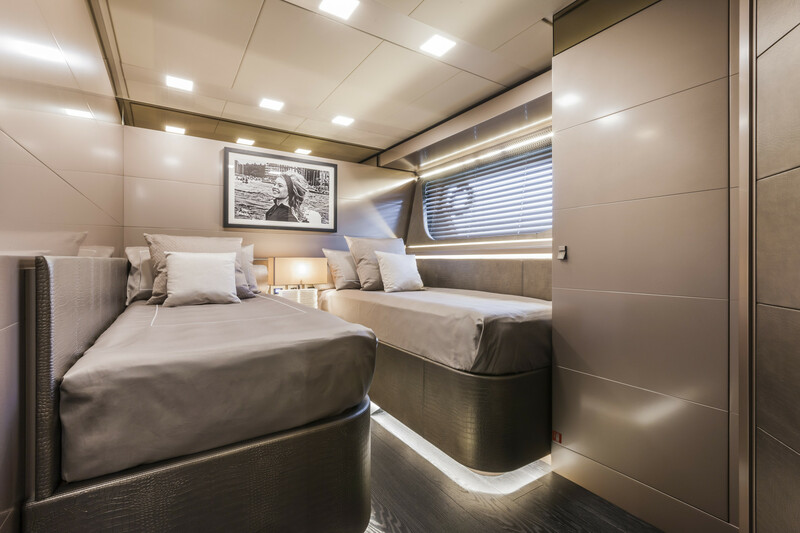 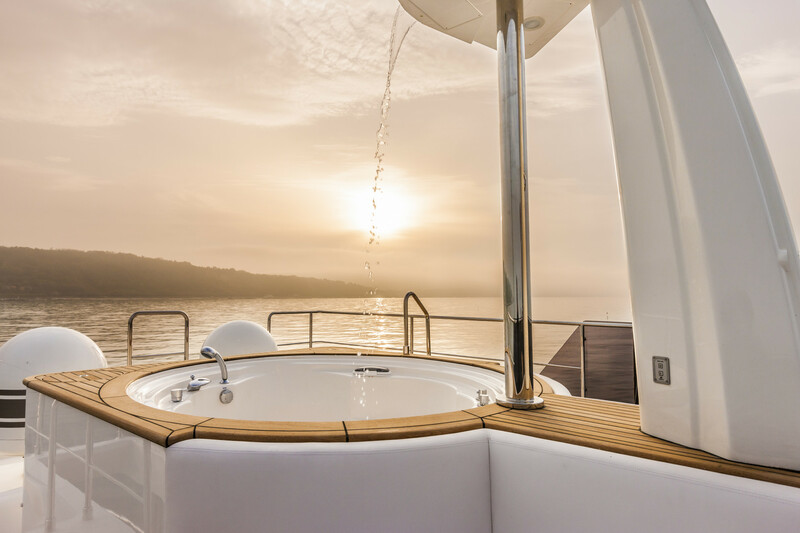 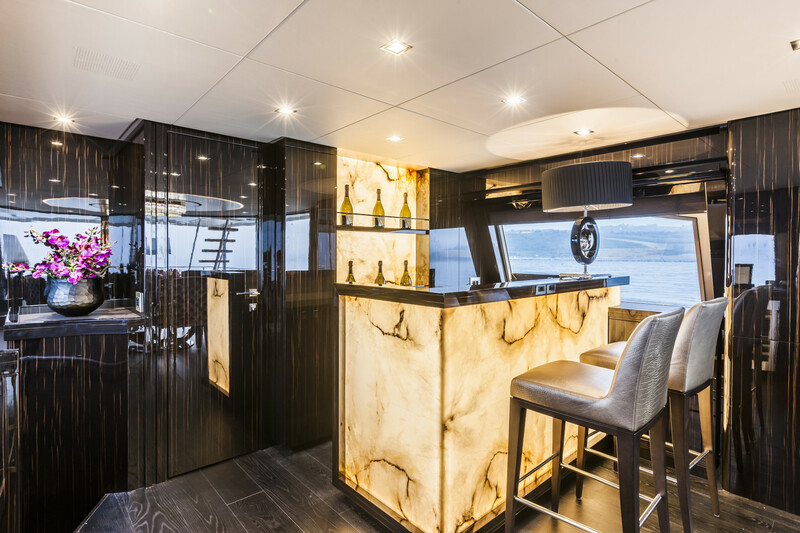 Come on board and you will immediately be stunned by the most sophisticated interior, signed by the best international designers as well as the very innovative equipment. 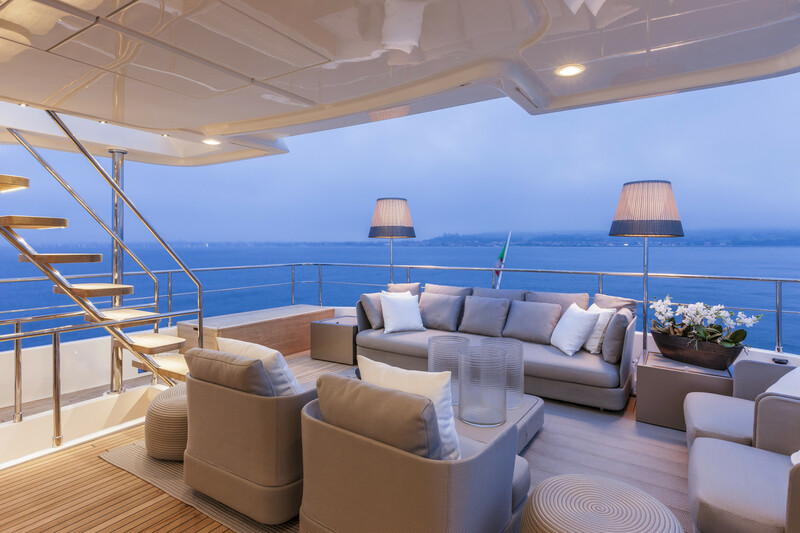 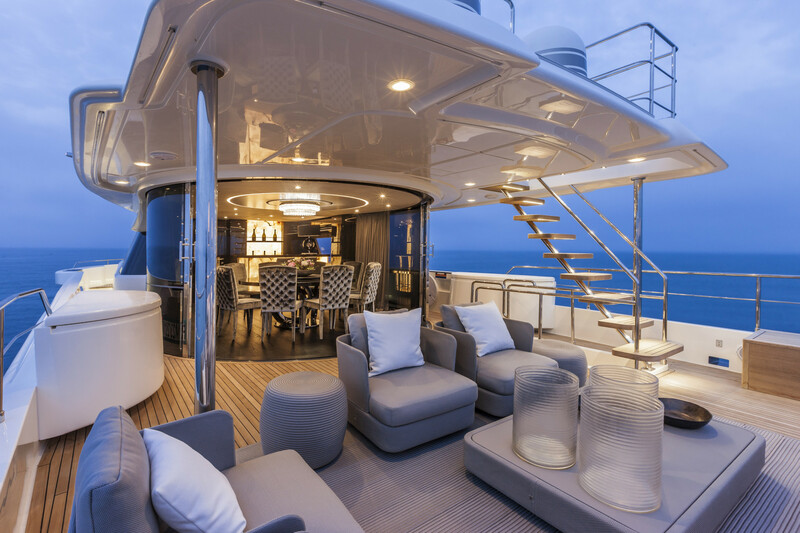 Natural light and volumes are the dominating elements of the interiors: in the living room, continuous windows stretch from bow to stern, while on the second deck, the circular glazing door makes you feel you are in deep connection with the sea. 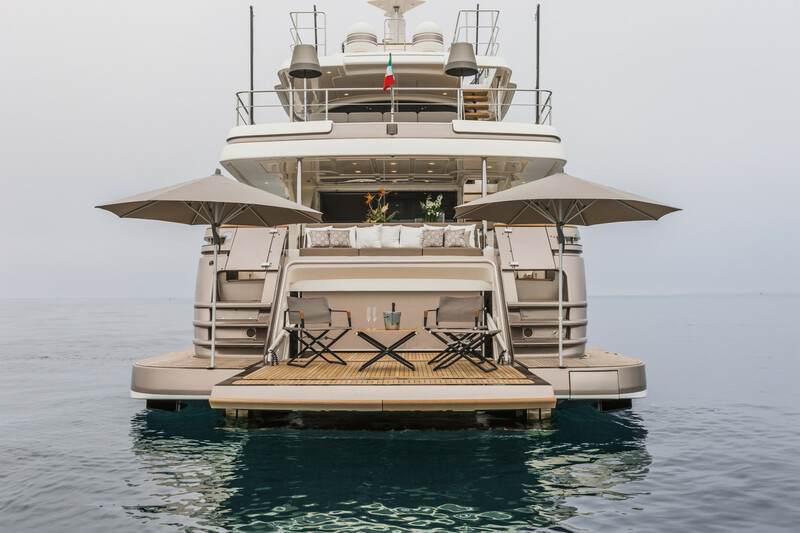 Yvonne immediately strikes for its absolutely innovative garage and swimming platform. 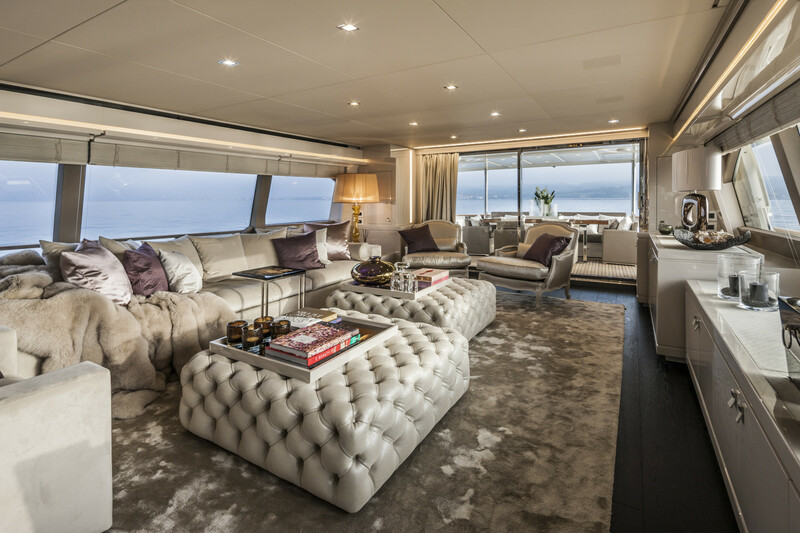 Even the cockpit offers an original multi-function sunbathing area that can be used in 5 different ways. 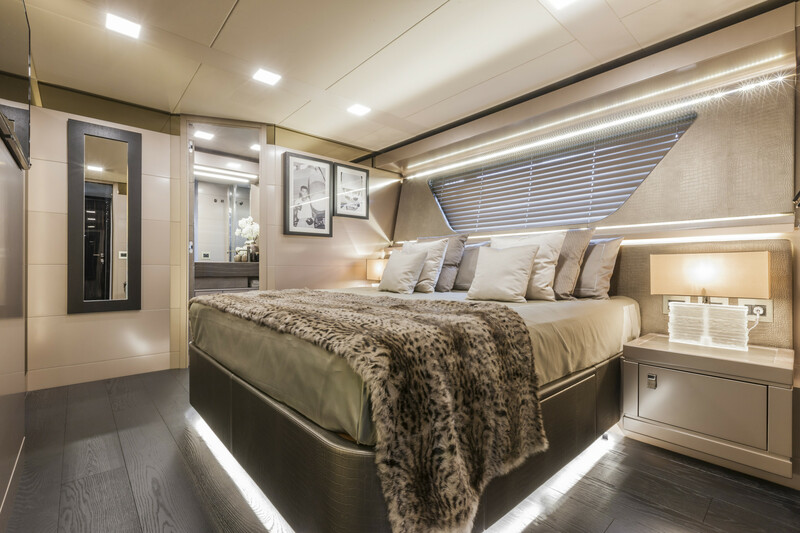 The master bedroom on the main deck at bow, has, a wide walk-in wardrobe/dressing room, large windows and the shower room can be converted into a Turkish bath. 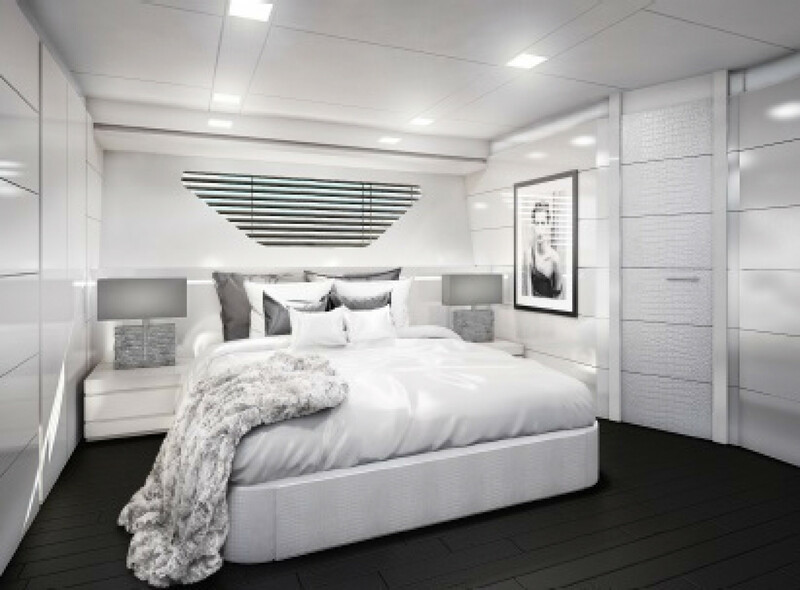 Below deck a central lobby leads to the four guest cabins, three of which are double and one fitted with twin beds; all have ensuite heads and separate showers and are beautifully decorated combining luxury and elegance.